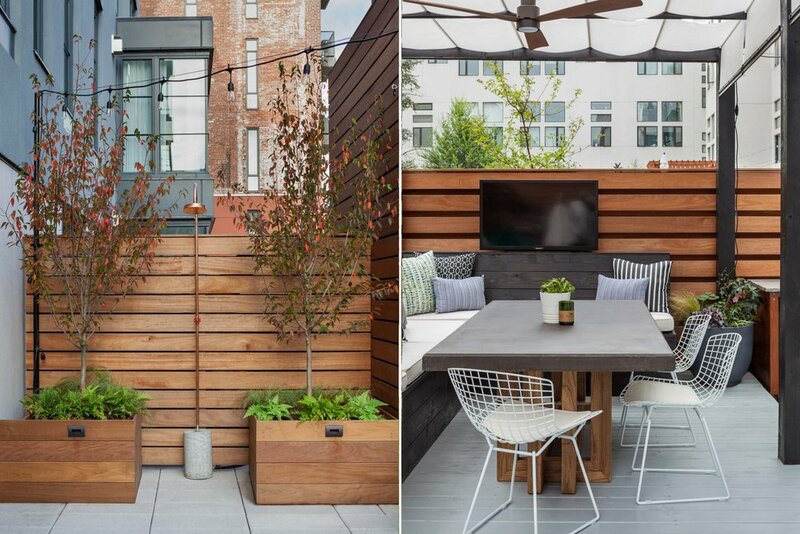 When we designed this terrace, we wanted the outdoor space to reflect the client’s interiors: clean, modern + fun. 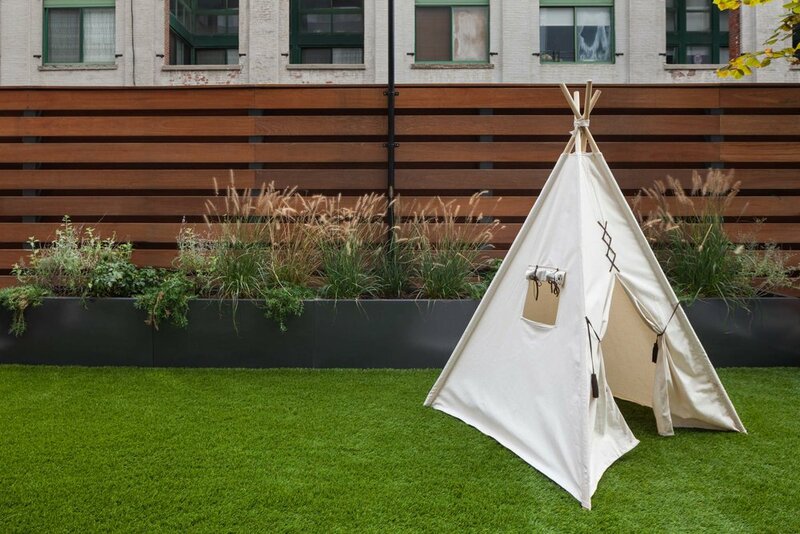 Playtime is at the center of this space, with soft turf for the family’s toddler + a teepee fort. A cozy lounge area features comfortable + stylish outdoor furniture. The dining space seats 8+ comfortably, with a built-in custom kitchen + outdoor entertainment center. Aqua acapulco chairs accent the decks’ end, all underneath a custom pergola with an adjustable awning for shade. 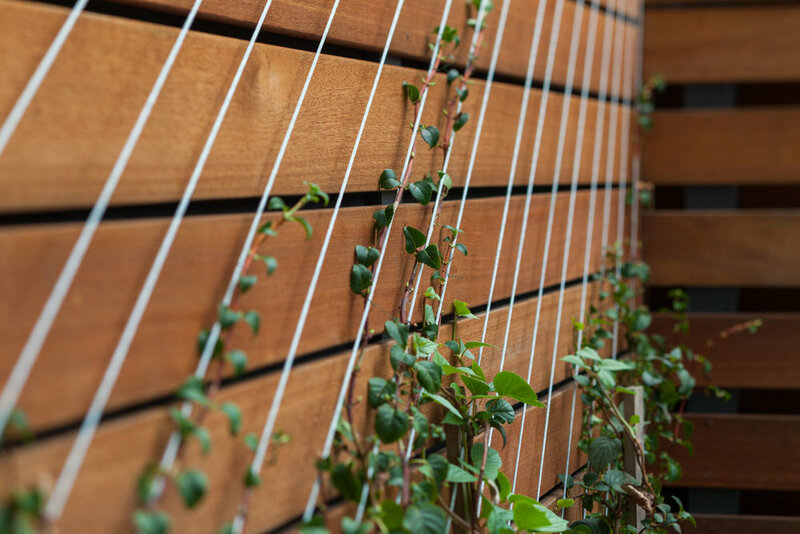 One of our favorite elements of this terrace is a wire trellis with climbing vines over the ipe fence. 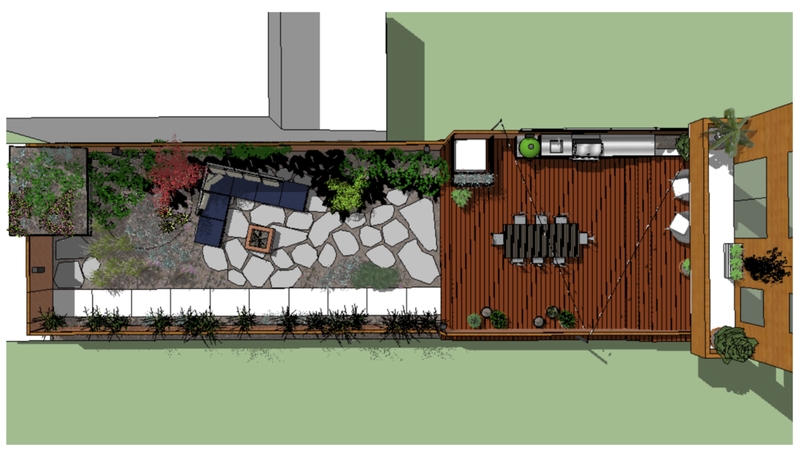 Ferns, Irish yew, and russian sage are just a few of the plants chosen to fill this space with green life.